You can purchase Wishlists for WP eCommerce in 2 spots. 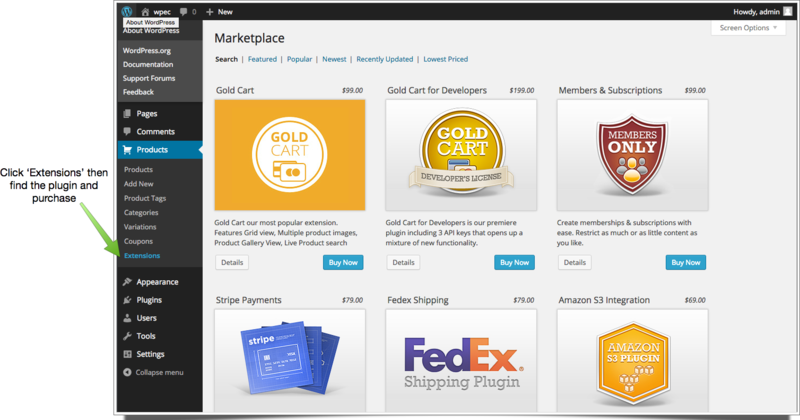 First is via the marketplace built right in to WP eCommerce. 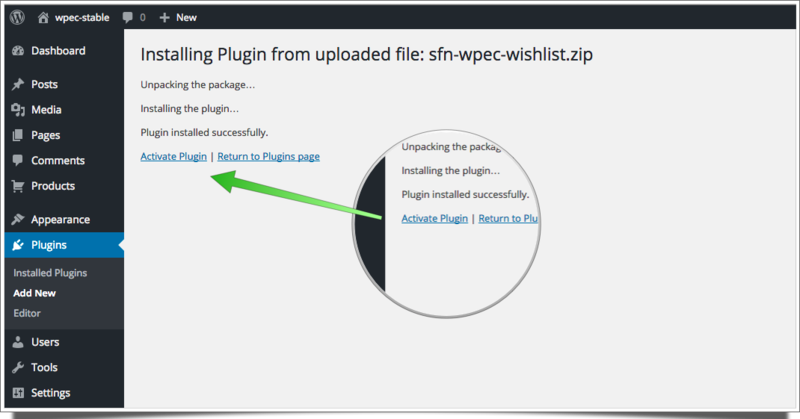 Doing this will allow you to activate/install the plugin in one shot without needing to upload anything yourself. 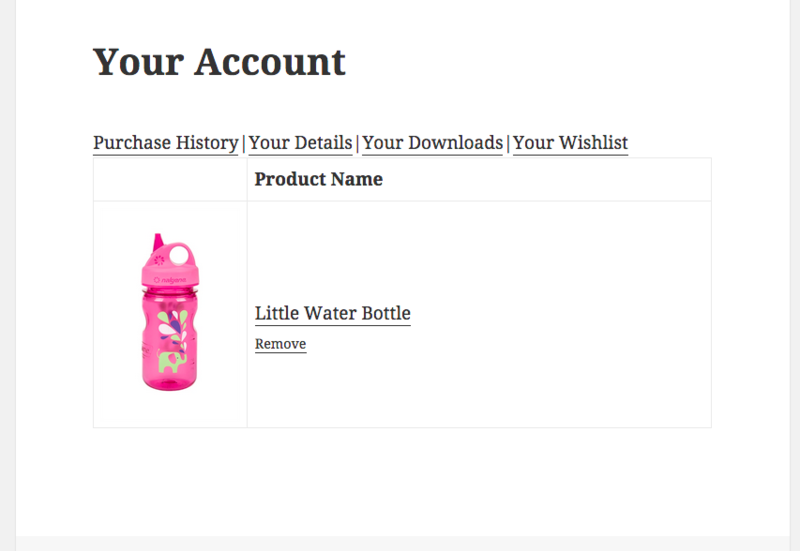 The second way to purchase Wishlists for WP eCommerce is via the WP eCommerce extensions page. Then you’ll get a download to upload to your site. If you purchased through the marketplace inside WP eCommerce then the plugin will be installed for you. 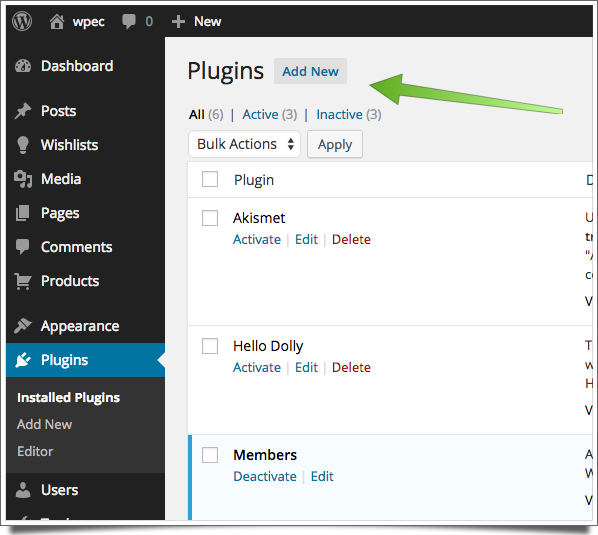 If you purchased on the WP eCommerce site, then you’ll need to go to the plugins screen on your WordPress install and click ‘Add New’ at the top of the page. Now you can click ‘Choose File’ and navigate to where you’ve saved the downloaded plugin. Once you choose the file to upload click ‘Install Now’. After the plugin is uploaded you’ll be presented with the option to activate the plugin. That’s it you’re ready to start rocking wishlists on your WP eCommerce store. There is currently no setup required for Wishlists for WP eCommerce. Simply install it and you’re off to the races. 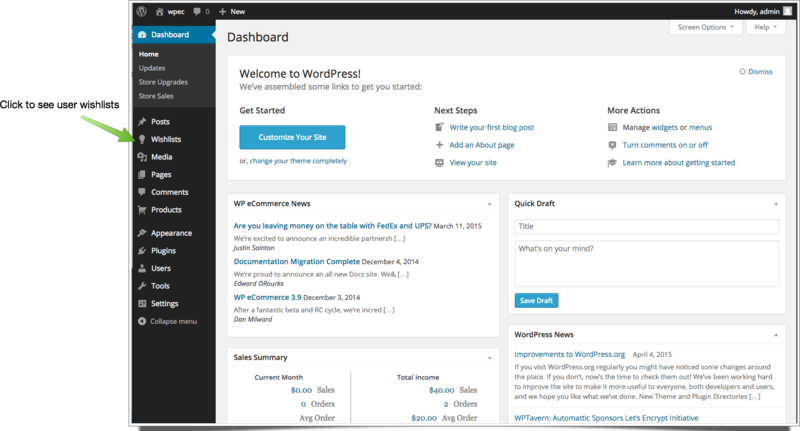 Once Wishlists for WP eCommerce is installed you will have a new menu item on your WordPress dashboard called Wishlists. Click this to see the wishlists saved by your users. From there you can click on an individual wishlist entry and see the products that have been saved along with the user that has saved those products for later purchase. Users will see a button called ‘Add to Wishlist’ on each product that is in stock. If there is no stock on a product then the button will not show. Users will also be asked to sign in before they can see the ‘Add to Wishlist’ button. Users can also add wishlist items from any single product view or archive product view (like product categories). Users will find their wishlist in their account screen. If there is nothing in their wishlist then instead of products showing it will tell them they have nothing in their wishlist currently. Users can remove items from their wishlist from their account.